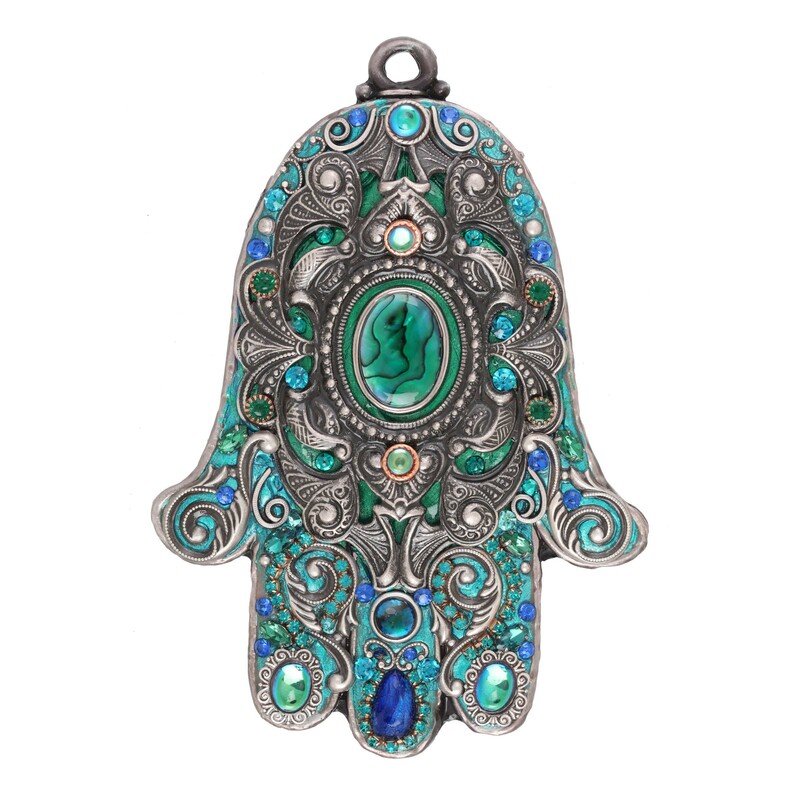 Dark greens and blues mix to form an an ocean inspired pattern in this magical Hamsa. Swirling silver accents mimic the shape of waves. 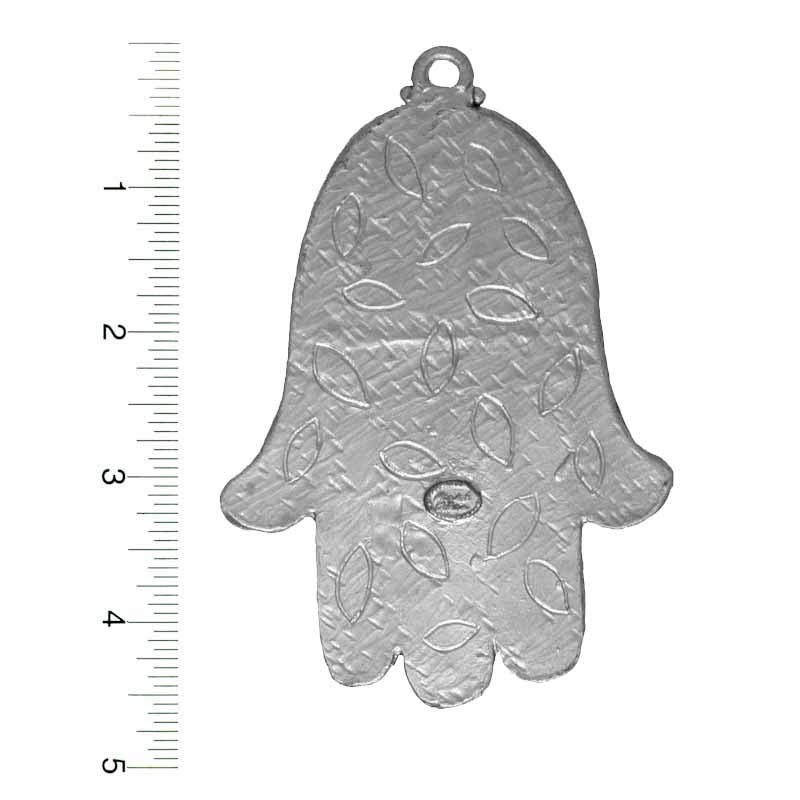 The Hamsa is a symbol of good luck meant to ward of negative energy, this versatile symbol can be displayed and worn by all.